This easy, cold salad comes together quickly, and makes great use of late Augusts juicy tomatoes and plentiful herbs. My salad, above, is a slightly simpler version of Ottolenghi’s “Tomato Party” from his cookbook Plenty. 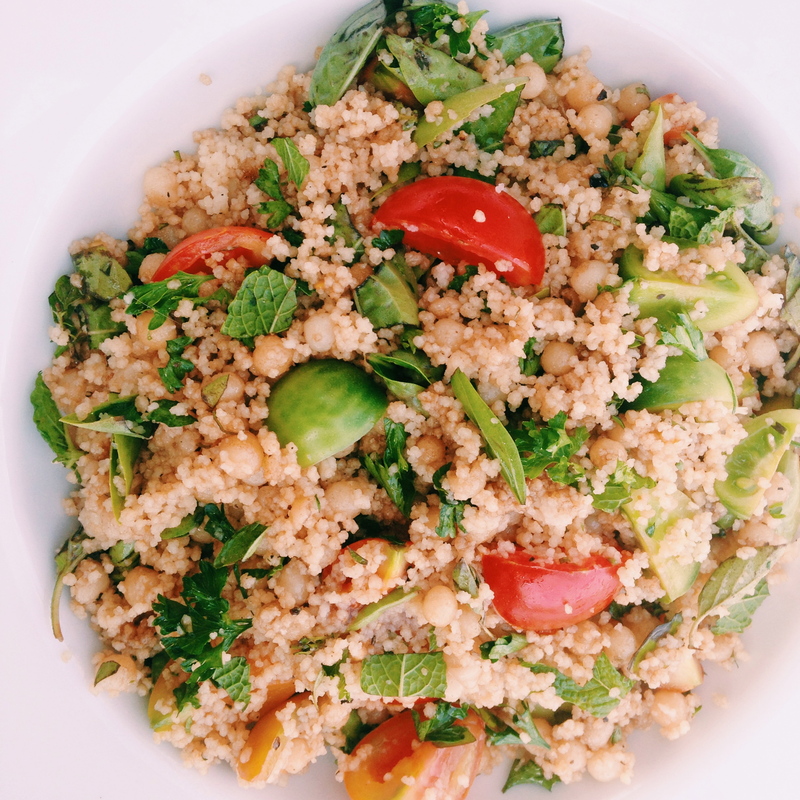 A simple mix of regular and larger, Israeli couscous, which cooks and cool quickly. As many tomatoes as you wish (the more the better) yellow, green, orange, red, zebra – the more the merrier. And then handfuls of chopped herbs – basil, mint, oregano. Finish is with a glug of good olive oil (I’ve been loving a lemon olive oil from Olive Pressee), a good splash of balsamic vinegar (I used a black current balsamic, also from Presse) course sale, plenty of black pepper, and a well-crushed and minced clove of garlic. Viola! A perfect August salad.